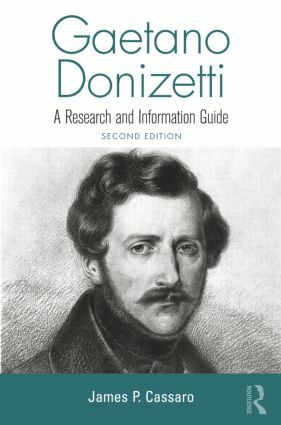 Gaetano Donizetti: A Research and Information Guide offers an annotated reference guide to the life and works of this important Italian opera composer. The book opens with a complete chronology of Donizetti's life (1797-1848) and career, relating it to contemporary events. The balance of the book details secondary resources and other works, including general sources, catalogs, correspondence, biographical sources, critical works; production/review sources, singers and theaters, and the individual operas.